To say that Kathy Ryan knows her subject inside out is an understatement. She shot every image in this exhibition inside the New York Times building – the workplace she loves. But the visual subjects that matter to her are not restricted to architect Renzo Piano’s landmark structure (built 2000-2007); although nowadays her more appropriate title is director of photography, Ryan has been chief picture editor of The New York Times Magazine since 1987. Ryan is one of the few who commission and select photography for prominent editorial publications who have become legendary. 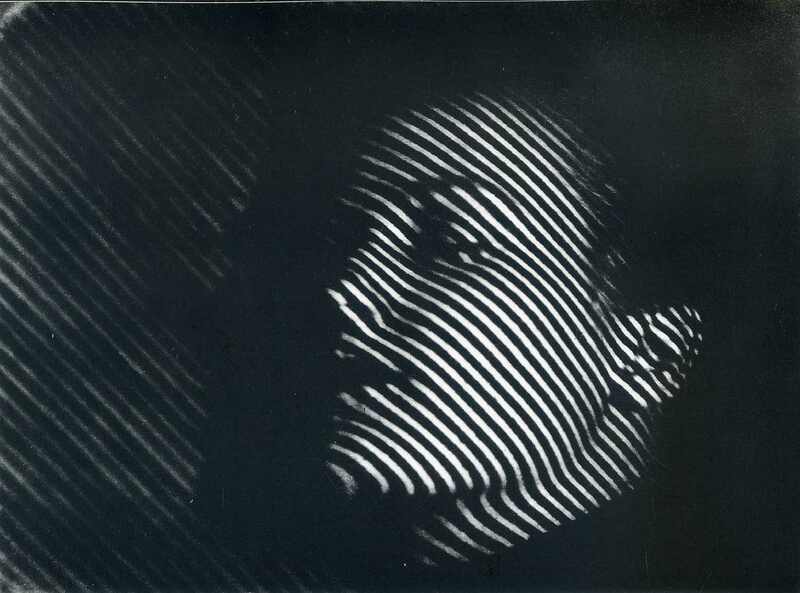 Echoes of legendary photographers’ work – Man Ray, Laszlo Moholy Nagy, Berenice Abbot, Erwin Blumenfeld – are evident in hers, and serve as evidence of the gamut of her visual knowledge. Here the atmosphere pays homage to painter Edward Hopper, there the minimal treatment is reminiscent of some of Frank Stella’s stripe work. However there is nothing nostalgic in her pictures, which were first published on her Instagram feed (kathyryan1 with 96K followers); she has a great talent for commissioning new and interesting contemporary photography, often from unexpected sources, in particular from artist photographers such as Taryn Simon and Thomas Struth, among many others. Kathy Ryan’s own pioneering spirit is reflected in these intimate images from her everyday world. Each 6 x 6 inch (15.25 x 15.25cm) image produced as an archival pigment print on 14 x 11 inch (35.55 x 27.95cm) paper for Kathy Ryan, Office Romance at Howard Greenberg Gallery, was photographed on Ryan’s iPhone. Office Romance was published in book form by Aperture in 2014. The Blog is about art, architecture, books, design and gardens, and anything else that currently interests us that we think might interest you. This entry was posted on Friday, May 6th, 2016 at 1:59 pm	and is filed under Architecture, Art, Exhibitions, Magazines, Photography, Visual Arts. You can follow any responses to this entry through the RSS 2.0 feed. You can leave a response, or trackback from your own site.